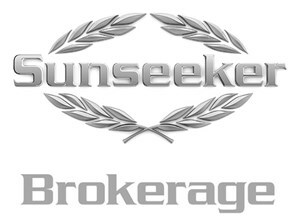 This is a rare opportunity to purchase one of Sunseeker's most prestigious yachts. The 34M is a yacht of true class and sophistication. Built and delivered in 2010, "Black and White" was refitted in 2015 and has always been maintained to a meticulous standard. Fitted with the optimal twin MTU 16V 2000 Series M93 engines along with Trac Digital Fin Stabilizers, she ensures a very comfortable and discerning ride through even the toughest of sea conditions. "BLACK AND WHITE" is the perfect vessel for entertaining guests or having a family get together, she ticks all the boxes for charter with a large garage for toys, 5 luxurious double cabins, open saloon, fully equipped galley, deck bar and much more. Commercially registered. Available for viewing anytime, she is an opportunity to acquire one of Sunseeker’s most timeless models at a very attractive price. Black and White’s layout revolves around a main deck forward master cabin with walk in wardrobe, vanity area and stepped down deluxe en suite that boasts a jacuzzi bath and enormous walk-in shower to port side. Located off of a central staircase are four capacious en suite guest cabins (two doubles and two twins). Due to the main deck's uncompromising design the spacious Saloon fully utilizes the space provided by the vessel’s beam to comfortably accommodate 10 or more guests in pure luxury. The midship dining area is ergonomically located so that guests can be served from the port side Galley access door. The sundeck offers an extended bar and dining area, ice maker, fridge and barbeque. There’s also a hot tub, extensive sunbathing area at the aft of the sundeck and a tropical misting system to keep guests cool on balmy summer nights.